Women under age 40 with dense breasts or with a personal or family history of breast cancer may benefit from mammography screening beginning at age 30. Over 5.7 million mammograms performed in 150 facilities across 31 U.S. states over an 8-year period were analyzed. Compared to women ages 40 to 44 at average risk, women in their 30s with the three evaluated risk factors showed similar cancer detection rates and recall rates in incidence screening. CHICAGO — A new, large-scale study of more than 5 million mammograms found that annual mammography screening beginning at age 30 may benefit women with at least one of three specific risk factors: dense breasts, a personal history of breast cancer or a family history of breast cancer. The study will be presented today at the annual meeting of the Radiological Society of North America (RSNA). Mammography is the standard imaging exam for breast cancer screening. The American Cancer Society says that women should have the choice to get an annual mammogram beginning at age 40 and recommends that all women at average risk should be screened annually beginning at age 45. Some other leading professional groups recommend annual mammography screening beginning at age 40, and RSNA supports this recommendation. However, for younger women, the directives are less clear. "Women under 40 have not been the focus of our attention when it comes to breast cancer screening," said Cindy S. Lee, M.D., assistant professor of radiology at NYU Langone Health in New York City. "Everyone is talking about the 40 to 49 range, and not the 30 to 39 age range. It's difficult to study this group because most women in this age range do not get mammograms, but some of these young women have increased risk for breast cancer and may need earlier and/or supplemental screening." For the study, Dr. Lee and colleagues compared the performance metrics of screening mammography in women between the ages of 30 and 39 with three specific risk factors versus women, age 40 - 49, without these risk factors, using data from the National Mammography Database (NMD), the largest source of screening mammography outcomes in the U.S. The NMD contains information from over 19 million mammograms, including self-reported patient demographics, clinical findings, mammography interpretations and biopsy results. The researchers analyzed data from over 5.7 million screening mammograms performed on more than 2.6 million women over an eight-year period between January 2008 and December 2015 in 150 facilities across 31 states in the U.S. The research team compared screening performance metrics among subgroups of women based on age, risk factors and breast density. Three specific risk factors for breast cancer were evaluated in this study: family history of breast cancer (any first-degree relative regardless of age), personal history of breast cancer and dense breasts. "Current breast risk prediction models incorporate different risk factors, which are weighed differently and can produce different results for the same patient. 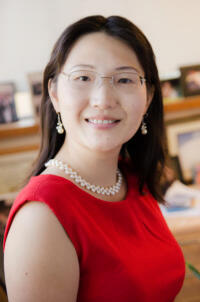 This complexity can lead to confusion and uncertainty for both doctors and patients," Dr. Lee said. "Our study defined 'increased breast cancer risk' in a simpler and more inclusive way. Any woman with dense breasts, personal history or family history of breast cancer in any first-degree relative is considered to have increased risk." She added that breast density is an important risk factor for breast cancer, but is excluded from all risk models except one. Four performance metrics for screening mammography were calculated for each patient age and risk group: cancer detection rate, recall rate, and positive predictive value for biopsy recommended (PPV2) and biopsy performed (PPV3). Recall rate is the percentage of patients called back for follow-up testing after a screening exam. PPV reflects the percentage of cancers found among exams for which biopsy was recommended or performed. In the under 40 group, some of the women had increased risk either because of dense breasts, family history or a personal history of breast cancer. Overall, women age 30-34 and 35-39 had similar cancer detection rates, recall rates and PPVs. Cancer detection rates were significantly higher in women with at least one of the three evaluated risk factors. Moreover, compared to women ages 40 to 44 at average risk, incidence screening (at least one prior screening examination) of women in their 30s with at least one of the three evaluated risk factors showed similar cancer detection rates and recall rates. "Women with at least one of these three risk factors may benefit from screening mammography beginning at age 30, instead of 40," Dr. Lee said. Co-authors are Heidi Ashih, Ph.D., Debapriya Sengupta, M.B.B.S., M.P.H., Edward A. Sickles, M.D., Margarita L. Zuley, M.D., and Etta D. Pisano, M.D.